Weaver Construction Company is based in Mason City, Iowa. With over 20 years of experience, we welcome projects of any size for residential and commercial customers. We take pride in providing quality workmanship and will strive to exceed your expectations with every project. We offer a variety of services and will provide you with a free consultation and estimate for any project you are considering. Weaver Construction Company is a full-service, bonded and insured general contractor. Specializing in concrete, masonry, landscaping and remodeling, Weaver Construction is the right choice for any construction project. 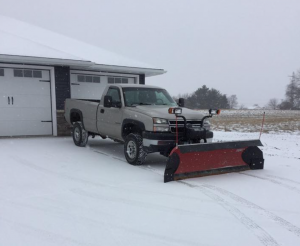 We also offer snow removal in the winter. Our recent projects have included a major basement bathroom install, decks, concrete driveways, a kitchen remodel, a complete new home build and much more. We are also performing on-going work for several local businesses including a new restaurant in Mason City. © 2019 Weaver Construction Company.